You have a wondrously-varied collection of kits to choose from if you are just cracking into the beer making game. I thought I’d help you out and give you the lay of the land. Bacteria and yeast (the SCOBY) need sugar and tea for proper fermentation – the sugar acts as food, providing energy, while the tea is a natural multivitamin. Only tea that comes from the plant Camellia senensis provides the necessary nutrients for your SCOBY. In the mid-2000s, those who wanted to distinguish their beer taste from that of the masses requested "microbrews" (made by "microbreweries") when they were in search of tastier beer. Microbreweries represented an alternative attitude toward beer. Beer brewing for the environment! Sure, it sounds like a curious form of advocacy, but what better way to pique public interest in water conservation than with rich, foamy beer? Looking back, when I think about all the reasons why I didn't homebrew for so long, waiting wasn't even on my list. I admit, I'm an inpatient guy. But I'm here to tell you if you can wait three weeks after the boil and another two to three weeks after bottling, you can make your own beer too. The National Homebrewers Conference (aka "Homebrew Con") is a 3-day annual gathering of 3000+ homebrewing and craft beer enthusiasts hosted by the American Homebrewers Association. It takes place in a different city each year and consists of seminars, a homebrew industry expo, and LOTS and LOTS of beer. This year, which celebrates the Homebrew Con's 39thanniversary, took place in Minneapolis, Minnesota at the Minneapolis Convention Center. What's Overrated & Underrated in American Craft Beer? With microbreweries popping up around every corner and homebrewing becoming such an accessible hobby, I feel confident that no matter what your niche is, you'll find a beer for your tastes, and not so far away. With so many choices, I wanted to know what people are feeling fed up with, and what they want to see more of. So, I asked the beer fans right here in our office, and here's what we had to say. This weekend Mr. Beer kicks off the newest homebrew recipe in our Brewery Spotlight Edition series, Funky Buddha's Hop Stimulator Double IPA!  This delicious partial mash brew is only available in limited numbers on www.mrbeer.com, beginning Saturday, April 22nd. Excellent beer deserves to be enjoyed fully. I realize that not everyone means to make their casual beer consumption into a fine event, or that everyone is terribly picky about the quality of their beer. But for those who want to taste and smell the character of their beer, here's a guide to make sure you're not missing out by making small mistakes in the way you serve your beer.